Those who deal with PDF files know how important can be PDF to Word conversion. PDF files are great when you need to upload or send a document somewhere else because they keep the document format. But on the other hand, it is widely known that PDF files are hard to edit and the easiest way to do that is to convert PDF files to Word or other editable formats. In case you didn’t know or you just forget, you can convert PDF to Word online free right here on Cometdocs. Cometdocs is a file converter that converts files from one format to another. It works online and you don’t need to install anything on your computer. On the top of that it’s free. If you want to use this file converter free, you can just upload files here and choose the conversion type. Not only can you convert files for free, but you can also use Transfer option to send a file to someone else. 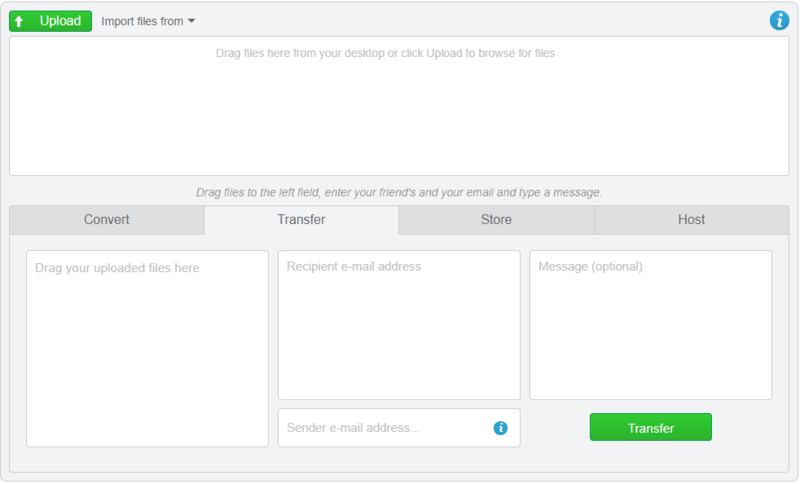 As you assume from the image above, you just need to click the Transfer tab, drag the uploaded file in the first box, type a recipient email and your email as well. You can send the original file that you uploaded on Cometdocs, or the converted version. As for uploading files, you can upload files from your computer or from Google Drive or Dropbox. In that case, you need to sign in your Gmail account.